"Project Runway Fails to be Fashion Forward"
Yes, it’s back with the same catchphrase, yet it feels almost sacrilegious that they’d keep that saying without keeping Heidi Klum as the speaker. A decade after leaving Bravo--and now without Tim Gunn or Heidi Klum--Project Runway is back on Bravo as a kinder, gentler version of what it was. And for fashion, kinder and gentler is never quite a good thing. If it’s one thing we’ve counted on the past 16 seasons, it’s for the show to be fierce. Yes, we want new styles but we expect attitude in the process. 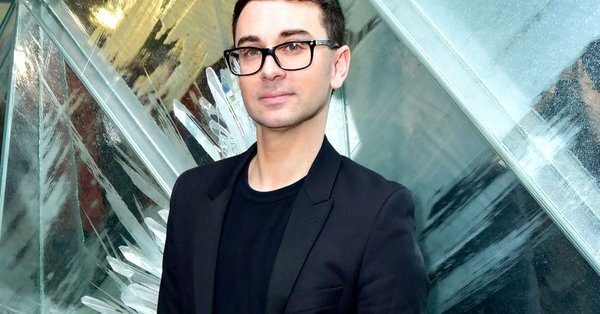 Christian Siriano is the one who always talked about fashion being fierce, but now he takes over Tim Gunn’s role of mentor and primary critic (before the designers head to the judges each week). While Gunn seems nearly irreplaceable, Siriano is at first an understandable replacement choice. He won season 4 of Project Runway and was propelled to fame. He started a clothing line that took in millions of dollars and has since designed red-carpet dresses for dozens of celebrities. Yet here his presence is meek and (in the season premiere) less critical. He awkwardly introduced challenges, provided little insight, and for someone with immense talent, he seemed to provide as much guidance as the friendly salesperson down the street at Macy’s. Maybe less. It wasn’t just Siriano. The whole premiere seemed to lack some of the attitude, giving us instead a “softer side” (no, Sears didn’t sponsor it but it felt about as healthy as your local Sears store--either gone or just on the brink of bankruptcy). Instead of cutting-edge fashion and snarky judges who still teach in the process of being critical, we got challenges made to humanize the judges more and make them more part of a show. We also got the shortest fashion show we’ve seen in years. They also didn’t go into as much detail about the construction the pieces as they have in the past. The one returning judge, Nina Garcia, (Editor-in-Chief of Elle) was a welcome dose of continuity in a show otherwise falling apart. She was joined by Elaine Welteroth (former editor of Teen Vogue) and Brandon Maxwell (creator and director of his own women’s luxury brand label). New host Karlie Kloss may have been the most disappointing. Stoic and lacking warmth, she tried to walk in Heidi’s shoes--but if you have months to prepare as host, wouldn’t you come up with your own catchphrase? Why use Heidi’s? And she offered no goodbye saying of her own either. That makes her more like a walking bot and less like--well, you know, a host. The fashion challenge involved glancing at a photo from each of the judges that represented the moment in fashion when they each knew they made it or knew what fashion represented in their lives. The contestants oohed and aahed a bit at hearing the emotional stories from the judges and then headed to Mood to run around to crazily shop and choose the (typically) wrong fabric. But unlike a show like Survivor that takes risks and evolves, here is a show that has evolved very little. By getting rid of Heidi Klum and Tim Gunn (who will be heading to Amazon for a new internationally-themed Project Runway type show that will debut later this year and will likely be more fashion-forward), Project Runway had the chance of truly reinventing itself by looking fresh, new, and stylish. Instead, the show was repetitive. Same format. Same tasks. Same meltdowns from the contestants: I don’t have enough time. My model is too (insert Mad Lib adjective here). I bought the wrong fabric. I don’t have enough fabric. The judges don’t get my vision. The designers themselves seem older, wiser, and from all walks of life. Most are likable, and with one of the most “likable” ones going home the first week (I’ll stay a bit ambiguous here in case you haven’t seen it), it’s safe to say the contestants might be the best thing going for the show this season. They are interesting, accomplished, and human. If there’s a reason to watch, it will be to cheer them on and see their diverse but intriguing styles. 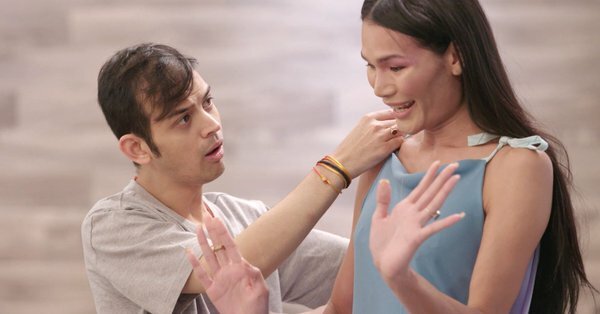 We also see the first transgender model in Project Runway history, and the moment gives us a touching sense of empowerment (in episode one) for both the designer and the judge. These moments certainly help carry the show. But otherwise the show still feels very old, like we’re taking Season 17 out of a VHS bin at the thrift store in the age of DVD, Blu-ray, or streaming media. While the designers themselves might keep the show just fresh enough to watch, it’s too bad the tired format seems to be one better fit for the clearance rack. Contestants are interesting and real. They care. Why didn't they take this opportunity to revitalize and update the show? Bravo--be smarter! Christian Siriano could have been a solid replacement judge. Can he find his personality? Karlie Kloss needs to be more personable and make this show "work" And soon.